Yarrow is one of those plants that is very near and dear to my heart. Ask any plant nerd and I'm sure they will tell you the same. There is an magical quality to this sweet flower that enchants, comforts and inspires me. Whenever I spy it on the side of the road after the last snow melts, I am immediately overwhelmed with a sense of wonder and excitement for all that is to come: uninterrupted jaunts through the woods, eyes constantly searching the ground for new blooms; kitchen counters and dashboards of cars, covered with flowers and plants to make into new medicine; pestos, oils and teas made with fresh, wild herbs. A sturdy little friend, yarrow is a plant for battle. The Greek hero, Achilles, was said to be fully immersed in an infusion of yarrow as a babe. The only spot left untouched being the ankle his mother, the sea goddess Thetis, held him by as she dipped Achilles into the brew. Achilles and his yarrow skin, went on to become a great warrior but met his end during the Trojan war when Paris, son of the king and queen of Troy, shot a poisoned arrow into his heal, Achilles' only vulnerable spot. Henceforth creating the name Achilles Heal and giving yarrow its true name, Achillea millefolium. Energetically, yarrow is a protector. I often carry it with me during times of emotional vulnerability or areas and events I anticipate will be packed with people. Physically, yarrow is considered to be a valuable digestive aid and helps ward off early stages of cold and flu. Yarrow is also rich in essential oils that are antiseptic and carry tannins, which are astringent, making it a powerful first aid remedy in healing wounds and decreasing blood flow. I have been witness to numerous occasions where yarrow was applied to a wound and successfully slowed blood flow. It is useful to keep in your herbal first aid kit as a salve (for wounds), tinctured or dried for tea. For female bodied folk, yarrow can be of great assistance during menstruation. Yarrow can relieve cramps, slow excess menstrual bleeding and in some cases, can return a delayed or absent cycle. Whether it be your fearless protector or digestive tract defender, yarrow is a herb that is easy for most to access and use with success. 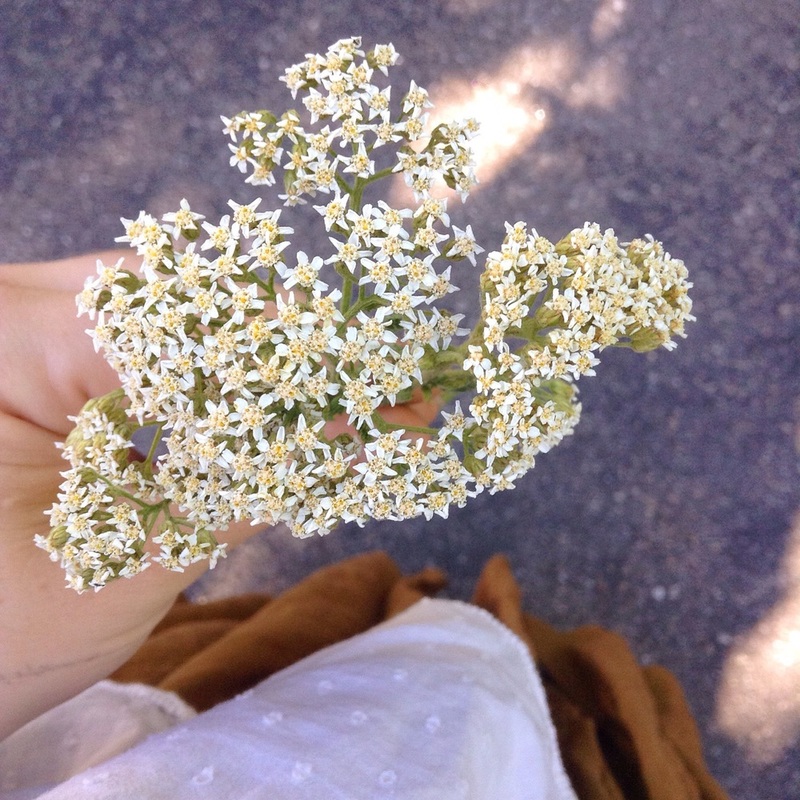 I have found it growing on sidewalks, seasides, pathways and roadside shoulders. As I suggest with any new to you plant, take your time with it and get to know it as you would a new friend or lover. Every body can have a different reaction to a plant and it's important to know how it will affect you as an individual.